The difference between hardwood and softwood has to do with how they reproduce, not the hardness of the wood, and that balsa wood - one of the softest woods - is a hardwood. 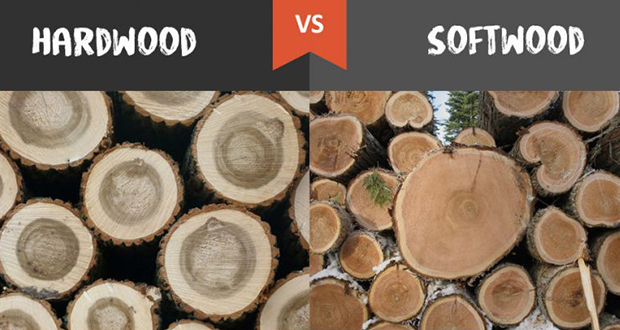 Generally speaking, wood is often put into one of two categories - hardwood and softwood. What exactly makes a given piece of wood qualify as either hard or soft and how did those definitions come about? It all has to do with the tree's seeds. Perhaps the most important and misunderstood aspect of defining wood as either hard or soft is that it has absolutely nothing to do with the individual qualities of the harvested wood itself. The most famous and oft used example of this concept is that of balsa wood which, despite being literally one of the least dense woods of all, is technically classified as hardwood. The wood of the yew tree, which is classified as being a softwood, is a great deal tougher than many hardwoods including several types of oak. Well, the basic answer is that classifying a wood as either hard or soft is entirely dependent on the seeds produced by the tree it comes from. If a tree's seeds have some sort of covering when they fall from the tree, be it in the form of a shell or fruit, then the wood of that tree will be classified as hardwood. On the other hand, if a tree produces seeds that are simply left to the elements when they fall to the ground, then the wood harvested from it will be classified as a softwood. This leaves the obvious question of how exactly one classifies how hard a piece of wood is? This involves measuring the average amount of force required to "Embed a.444-inch steel ball to half its diameter" in some type of wood, with the average used so that the difference in hardness between heartwood and "Live edge" wood doesn't skew things too much. The Janka test itself it the brainchild of one Gabriel Janka who came up with it after being asked by the Department of Agriculture to find an "Objectively and scientifically" sound way to measure the hardness of a piece of wood. For the curious, according to the Janka test, the softest wood in the world belongs to the Cuipo tree, which has a rating of just 22 lbf making it drastically softer than Balsa wood which has a higher, but still very low rating of 100 lbf. Interestingly enough, like Balsa wood, Cuipo wood is classified as a hardwood. The hardest wood is said to come from the Australian Buloke tree, with a staggering rating of 5060 lbf. Wood from the Buloke is fairly difficult to come by, so not often worked with, though woodworkers who've had the chance often describe it as being "Like a rock".